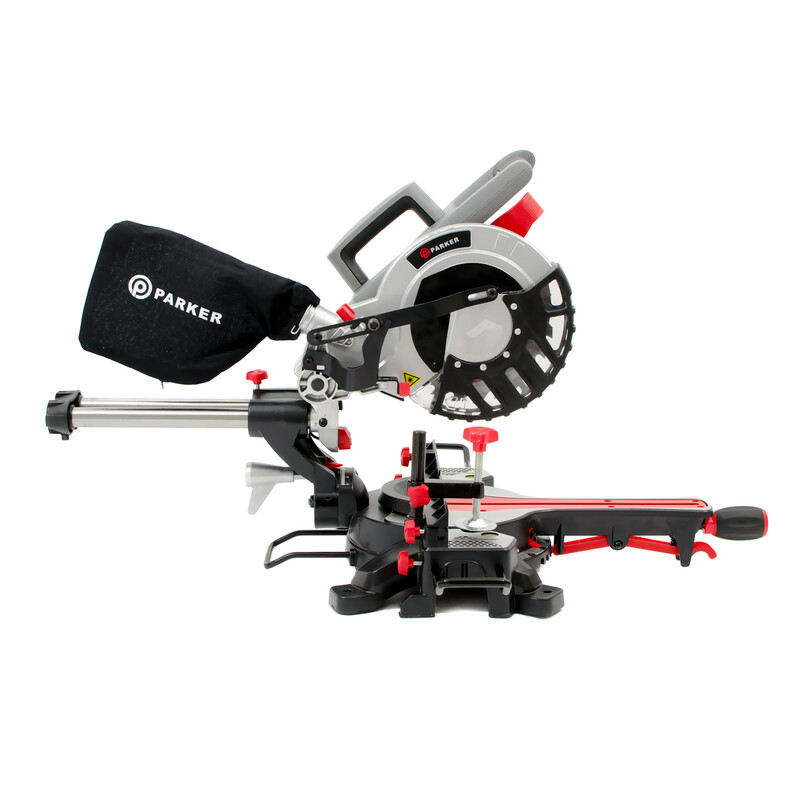 This 210mm sliding compound single bevel mitre saw designed by Parker has an eight-inch circular blade and a laser guide for precision work. 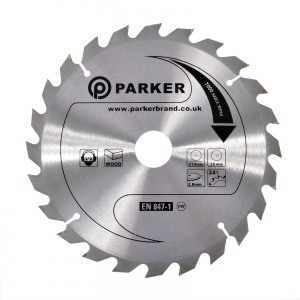 The blade itself spins at 5,000 RPM so makes light work or all kinds of wood. 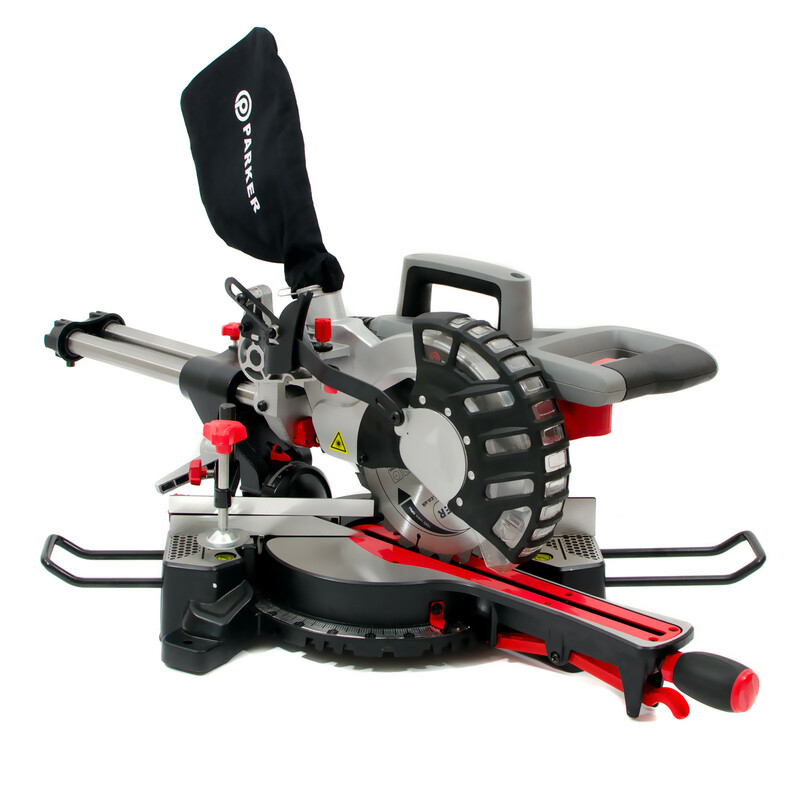 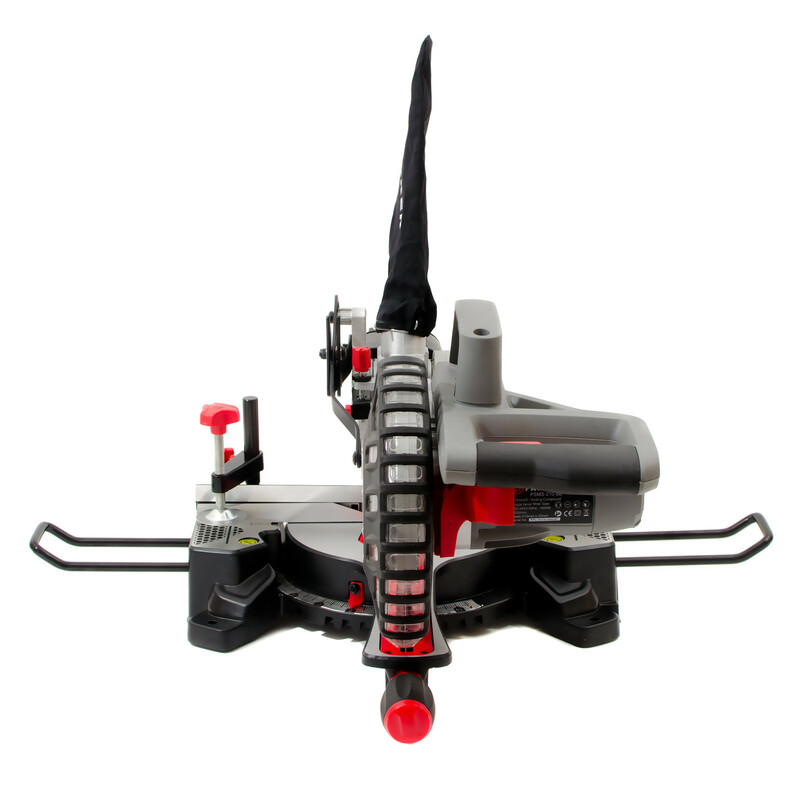 If you need a power tool that can make accurate cross-cuts or mitre cuts, then this is the saw for you. 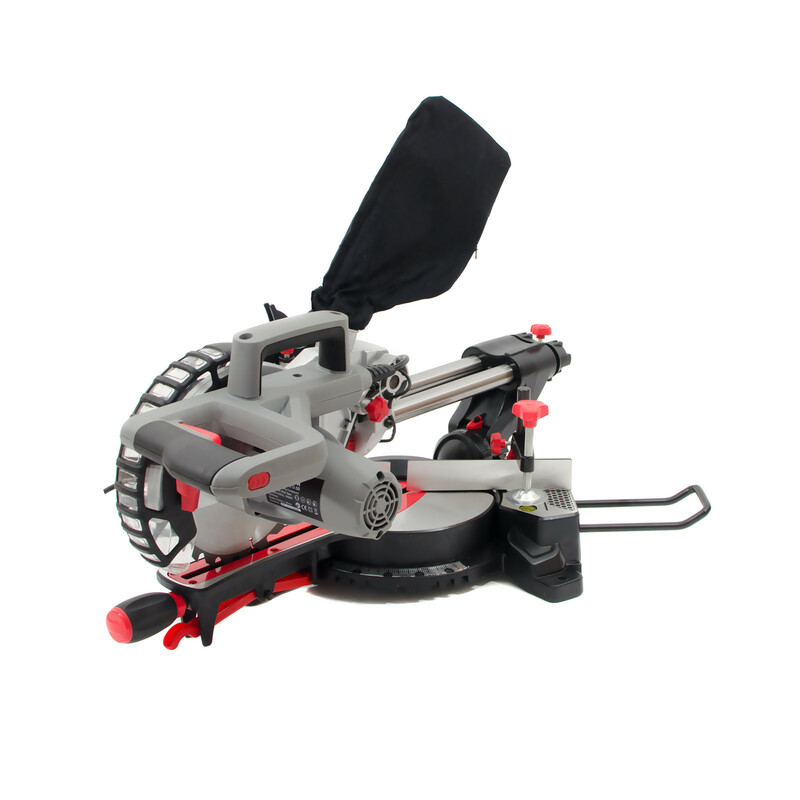 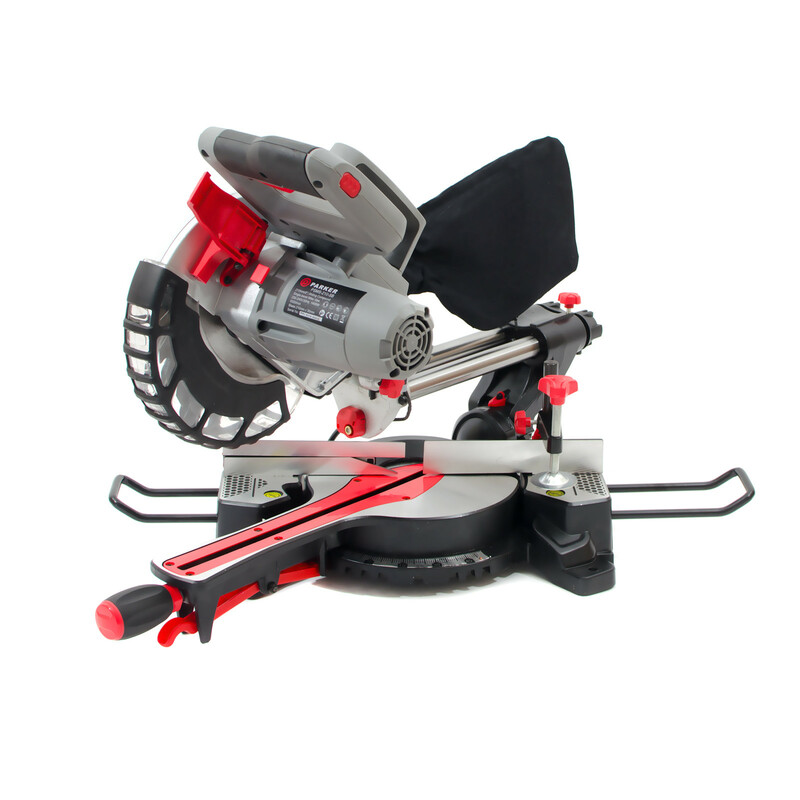 As well as a powerful blade you this mitre saw also include a dust bag which helps keep your work area clean and tidy. 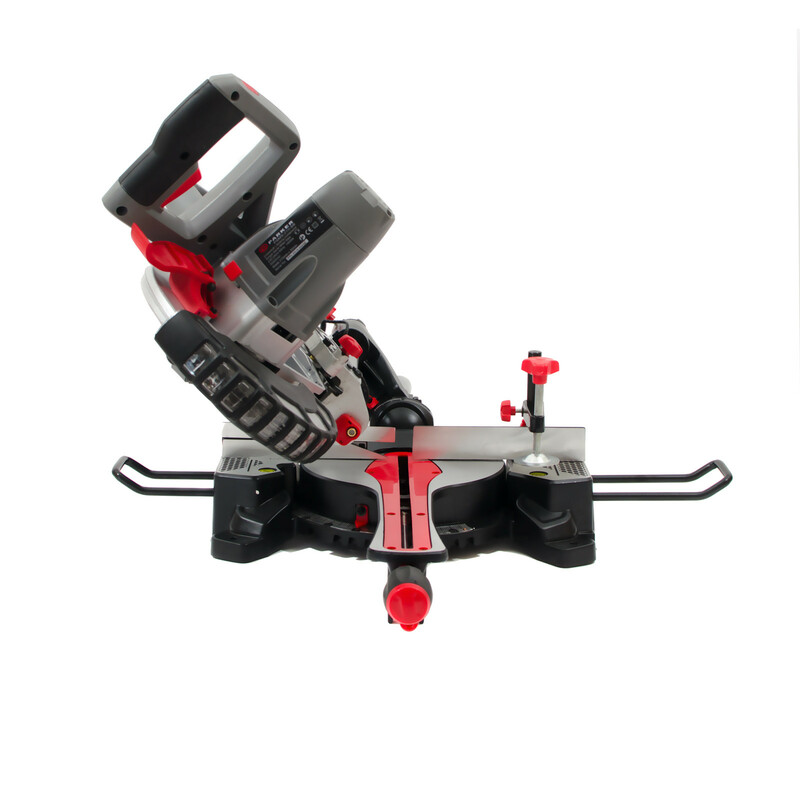 The extension bars and wood clamp will help you to securely hold larger pieces of wood so that you can achieve a high standard of craftsmanship. 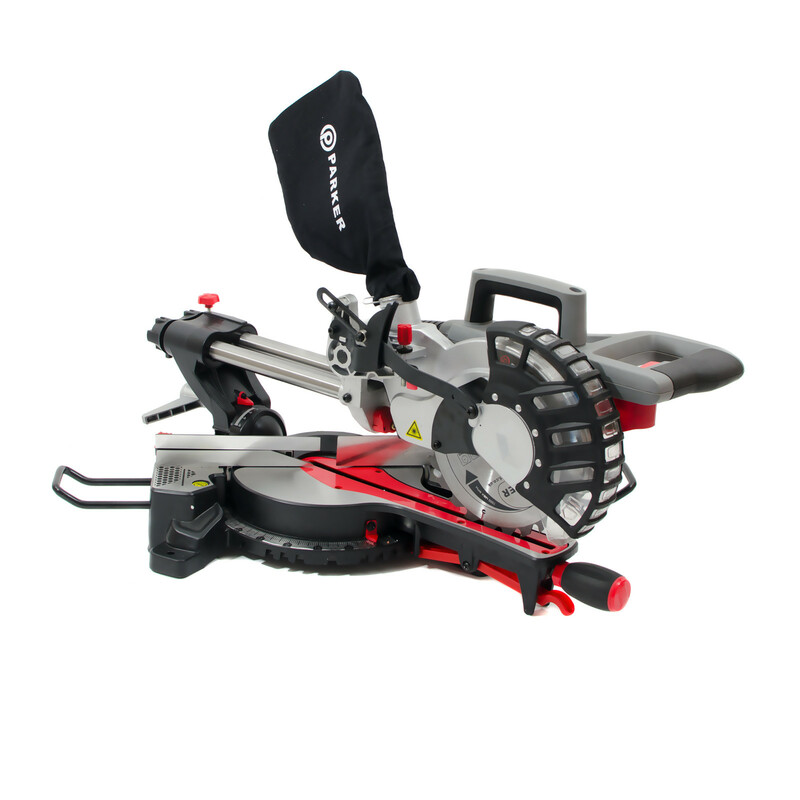 The 210mm sliding compound single bevel mitre saw also comes with one-year warranty and CE certification.